Summer is winding down here in Montréal, although you wouldn't know it if you looked at the weather forecast, which is predicting 30C temperatures for the next 14 days. But we've had the first snow removal flyers in the mail and our neighbours got a whole pile of fire wood delivered yesterday, so yes, winter is coming. 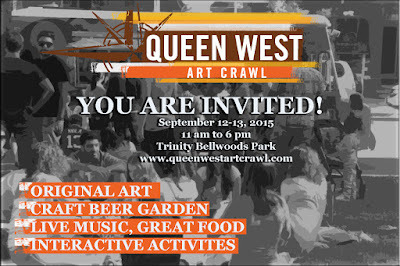 In two weeks we'll be traveling to Toronto for the Queen West Art Crawl! So I'm in full on preparation mode! 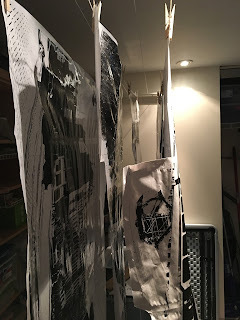 I'm also working on several new pieces in my studio and I'm gearing up for some exciting experiments which I will tell you more about in the near future! 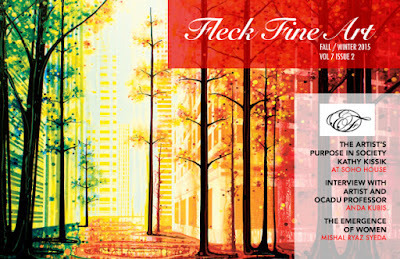 I'm also super excited to announce that my work is part of the Fleck Fine Art Fall/Winter edition which is out now! This high end fine art catalogue is carefully curated by Elaine Fleck from the Elaine Fleck Gallery in Toronto and will be distributed to 10.000 homes in the Toronto area which is pretty exciting! You can view the full catalogue here my work is located on page 25. 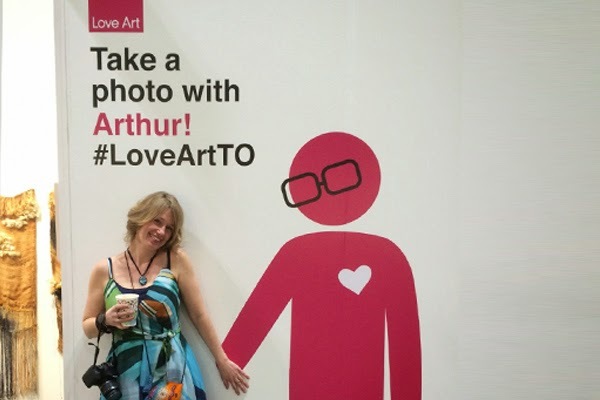 On September 12-13 I will be in Toronto to participate in the Queen West Art Crawl, an art festival that celebrates the art, culture, and diversity of Toronto’s Queen West. This awesome art festival will be held at the Trinity Bellwoods park where you can find me in booth F12 from 11am-6pm on both days. The art crawl includes a performance zone with five featured bands and artists such as Samba Elegua and the Spirit of Calypso. The works of 200 established artists and includes paintings, jewelry, pottery, and woodwork are on display for lovers of the arts. 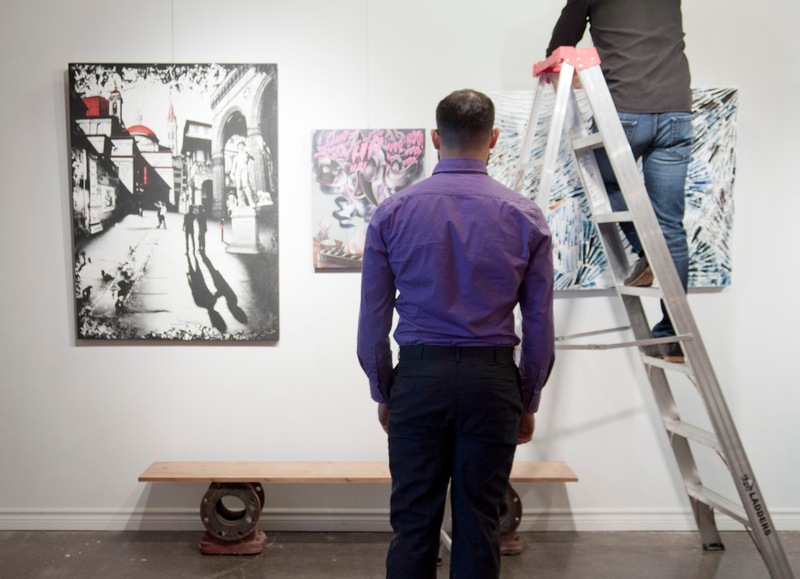 OCAD has an emerging artists exhibition and The Crawl along Queen St. West portion of the celebration includes 10 participating venues such as CAMH, The Drake Hotel, and The Toronto Blues Society. The Craft Beer Garden has six locally produced beers and one cider. For food there are food trucks with foods including everything from Mexican-inspired to hot dogs. 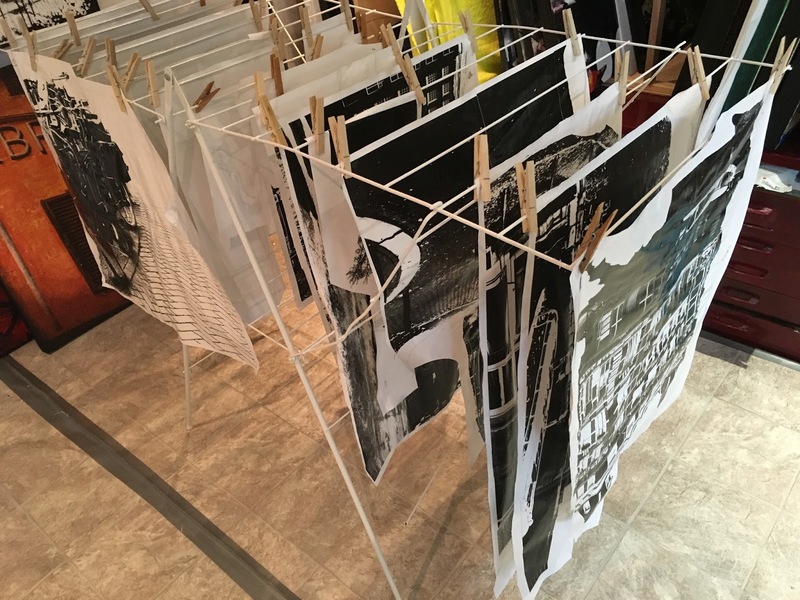 What and who has inspired your art work? 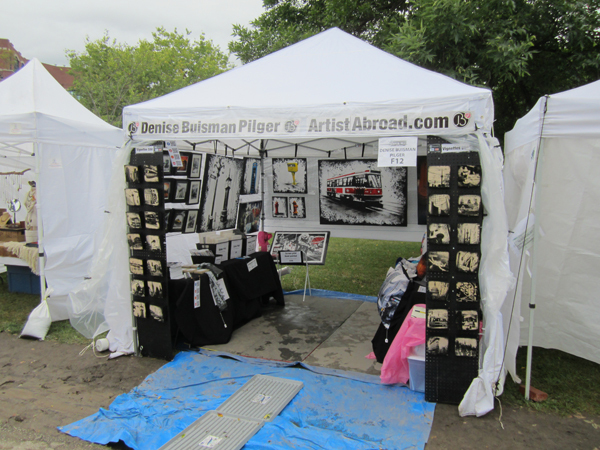 My art work is inspired by my frequent travels, living abroad drastically changes your view on the world. When you move to another country you take away everything that is familiar and little everyday details that are different really jump out at you. I’ve now been away from my home country long enough that I’m almost able to experience it in that way as well, which is going to make for an interesting project in the future. 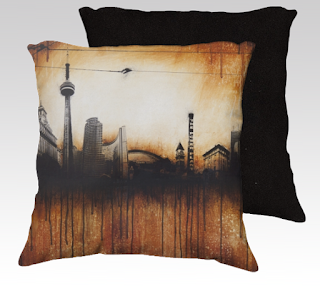 I’m particularly interested in the urban landscape, my art is a way to explore and make sense of my environment. I’m a horrible person to travel with, because I’m always lagging behind taking pictures of seemingly everyday items. I love little urban icons like fire hydrants, I mean, have you ever really looked at them? 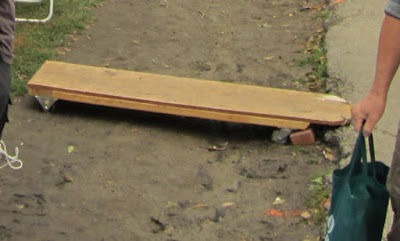 They come in such a wide variety of shapes and colors, there must be somebody out there who designs these things and makes them look cool, I don’t know who it is but he’s my hero! 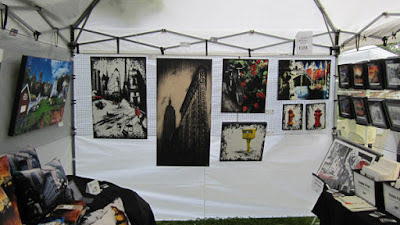 You can also vote for my work to become best in show by clicking here. I love Summer! 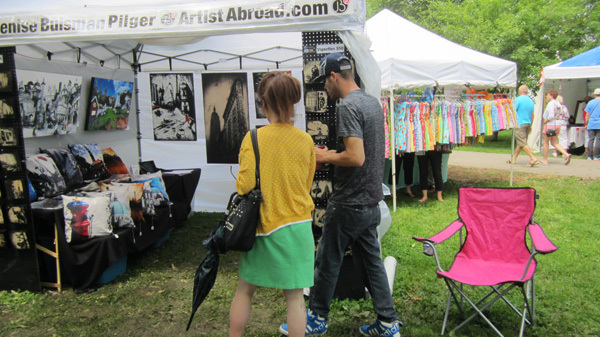 Summer means Art festivals which means I get to emerge from my studio and interact with actual humans! 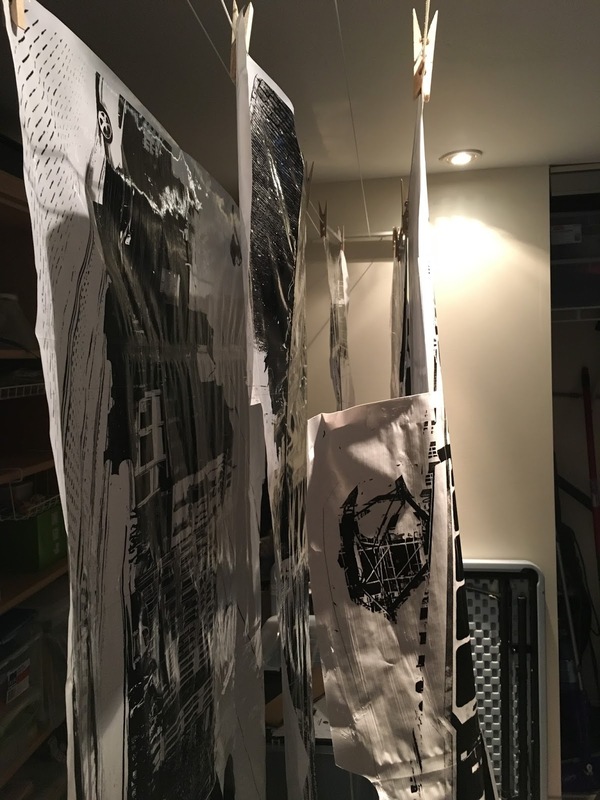 This year I already traveled to Ottawa and Kingston with my work and in September I get to go all the way to Toronto for the Queen West Art Crawl, more information on that will follow at a later date! 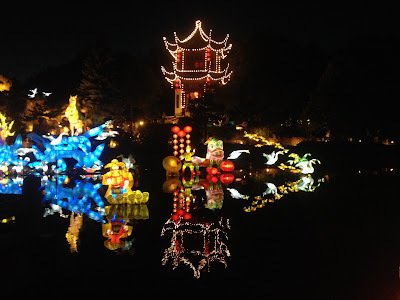 Summertime in Montréal is truly an amazing experience! There are festivals and events all over the city! My personal favourite is the Just for Laughs festival, which is going on right now! For two whole weeks famous comedians can be spotted all over the city and you can go see comedy almost 24 hour a day! Tonight the amazing Weird Al Yankovic is giving a free concert and on Saturday we have tickets to see Chris Hardwick perform his 'Funcomfortable tour' at the Olympia theatre! I always listen to the Nerdist podcast in my studio so I'm pretty excited for that one! Summer does not only bring fun stuff to my local city it's also convention season! Something you might not know about me is that I am a bit of a geek. I read fantasy novels, watch Doctor Who with a passion and I'm a gamer so convention season is a big deal in our house! We keep up with the latest news from San Diego Comiccon, E3 and Origins and every year we drive almost 3000 kilometres to Indianapolis and back to attend the biggest board gaming convention in the world, GenCon! So, although I'm still working on stuff in my studio, I'm also enjoying all the awesomeness summer has to bring! What are your summer highlights? After a crazy start of the year things are finally settling down here! I've has such a crazy couple of months! So many things have happened but now, finally, things are a little more quiet, not too quiet, we wouldn't want that! But just a little, just enough for me to catch my breath. I feel like the year has just started and all of a sudden it's summer, it's hot and humid but my new basement studio is nice and cool and we have a pool now! After my work day I can take a nice relaxing swim and float around on my airbed with a good book, I feel very spoiled! So what else has been happening these past couple of weeks? well on June 20-21 we were in Ottawa for the New Art Festival, with a little rain and tons of other festivals going on in the city it wasn't too too busy but we still had a good turnout. 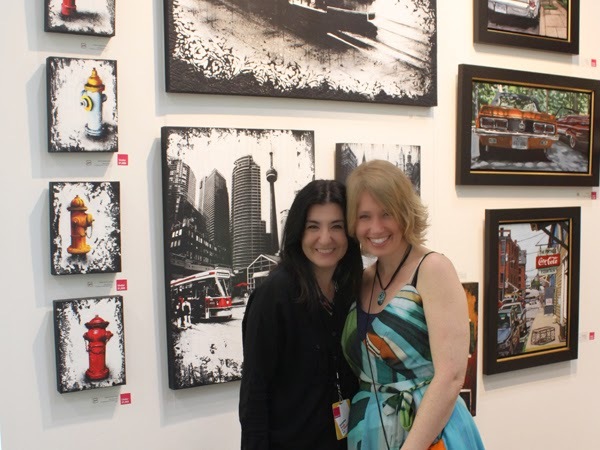 It was a great weekend filled with awesome people and amazing art! 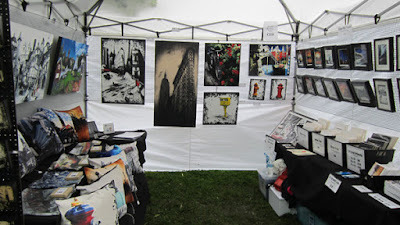 I was very happy with my new booth and n particular my new vignette display! 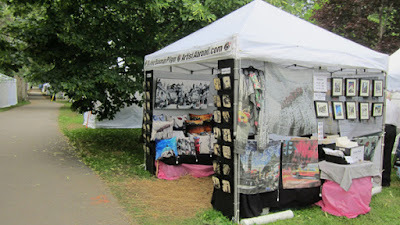 (see pics, it's on the left side of my booth). 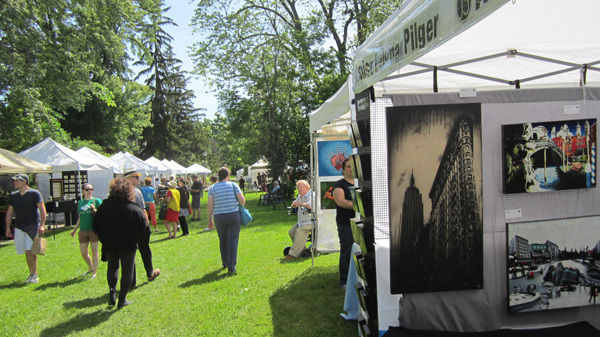 From July 1-4 I was in City Park in lovely Kingston for Artfest Kingston. This was the first time I did a festival by myself and I have to say it's hard work! You make long, long days, coming in at 7am to set up, then work the fair until it closes at 6pm and then you still have to take the stuff that you don't want to leave overnight and take it to your car again. Yes, those were long, long days but I had so much fun! I met some amazing people and I got to spend some time in lovely Kingston, which is stunning! Again I was very happy with my booth, this was the first time I had brought my pillows and scarves to an event like this and they were a huge hit! The pillows are so soft and cuddly, I kept enticing people to touch them! 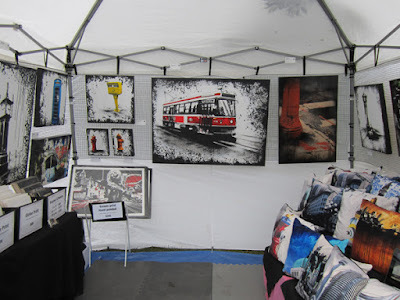 My next fair is not until September so I'm going to have a little time to relax and get ready for the Queen West Art Crawl! 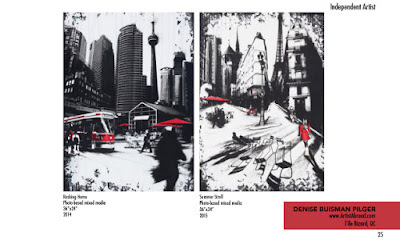 I'm super excited to be taking my work to Toronto again! But before that time I'm going to have to finish a commission piece and start planning some new compositions. I want to get back to the studio and paint! Oh I have so, so many plans! Now that things have quieted down I'm sure I'll have more time to write regular posts again so keep an eye on this page for the latest updates! Come celebrate Canada Day with us in Kingston this year! 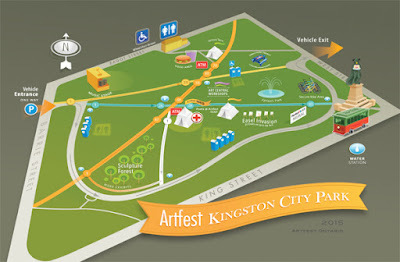 It's almost Canada day and we'll be at Arfest Kingston to celebrate! Come joint us in City Park on July 1-4 from 10am - 6pm! 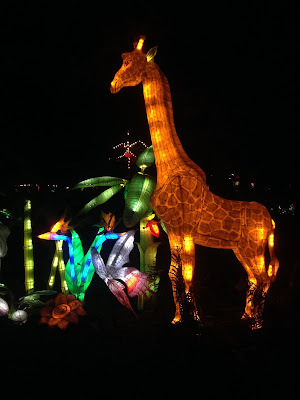 There's tons of stuff to see and do! 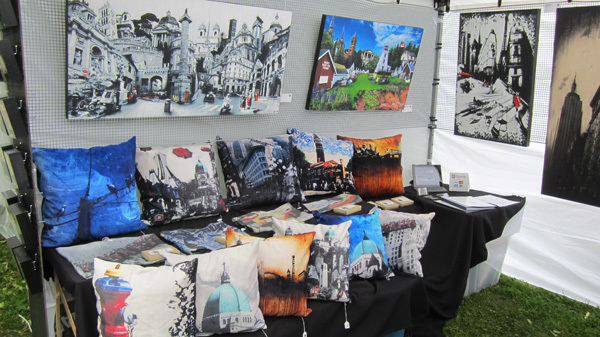 I'm going to be in boot O58 (Orange) where I'll be showing off my new pillow cases, scarves and cellphone cases for the first time! Located in the beautiful City Park, Kingston. 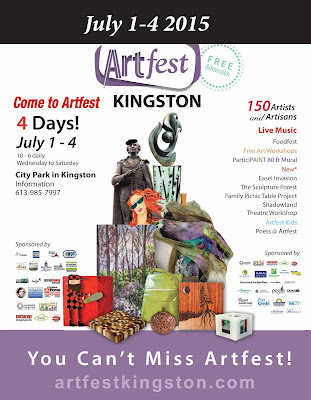 150 Artists and Artisans from across Ontario and Quebec are in Kingston for FOUR days from Canada Day~ Wednesday July 1st to Saturday July 4th. Walk the shady paths throughout the park. Enjoy outstanding pottery, glass, wood, jewellery, gourmet food, live music, art workshops and live outdoor theatre. 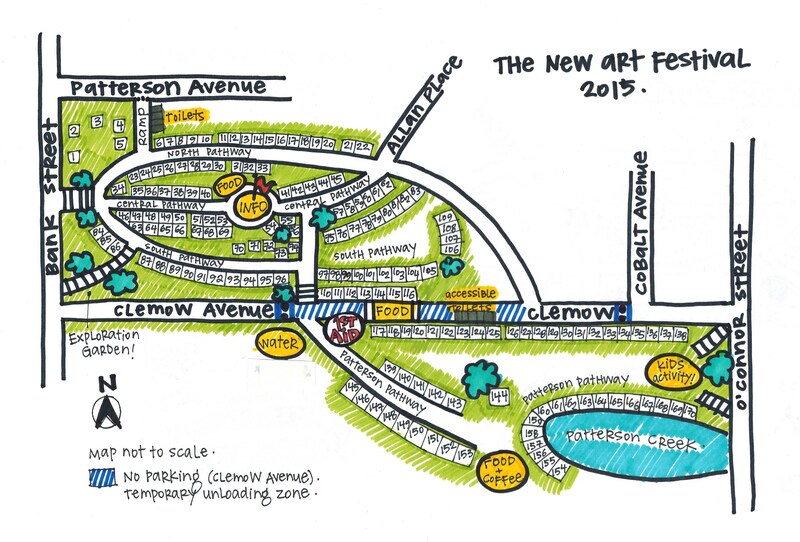 New this year: The Easel Invasion, Family Picnic Table Project and Picnic Day, the Sculpture Forest, ParticiPAiNT, Poets @ Artfest and more! 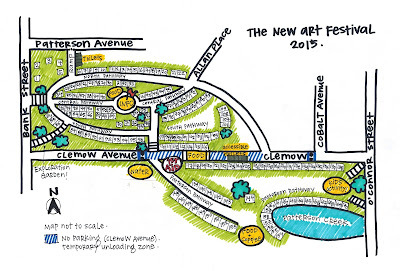 The New Art Festival in Ottawa, June 20 - 21, 2015! 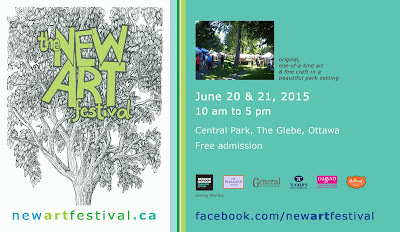 I am super excited to announce that I am going to be exhibiting at The New Art Festival in Ottawa this year! 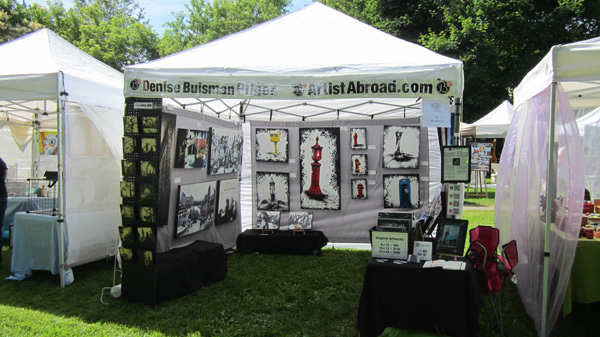 The festival will be held on June 20 and 21 at Central Park, The Glebe in Ottawa from 10am until 5pm, I am going to be in booth #32 (see map), I hope to see you there! The New Art Festival (TNAF) is Ottawa's largest non-commercial outdoor art festival. 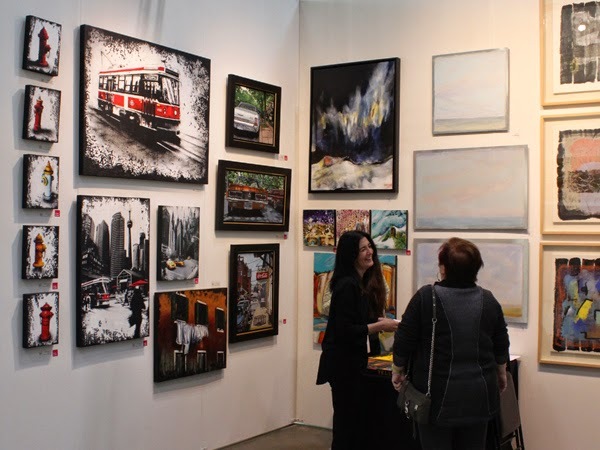 Featuring nearly 200 visual artists working in a wide range of styles and media, this annual event draws thousands of visitors and participants from across Canada and around the world. TNAF is a non-commercial event. They do not include any mass-produced goods, nor do they have any representation from large chains or corporations. They are a low carbon footprint event and feature food providers from the community. All of the artwork and food at TNAF are the direct result of the artists and artisans who are featured at our festival. 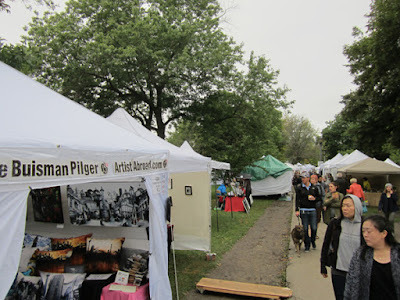 The organizers do not take any percentage of the artists’ sales.Originally conceived by Bhat Boy as an event to provide opportunities for up and coming artists, this important festival is truly unique. 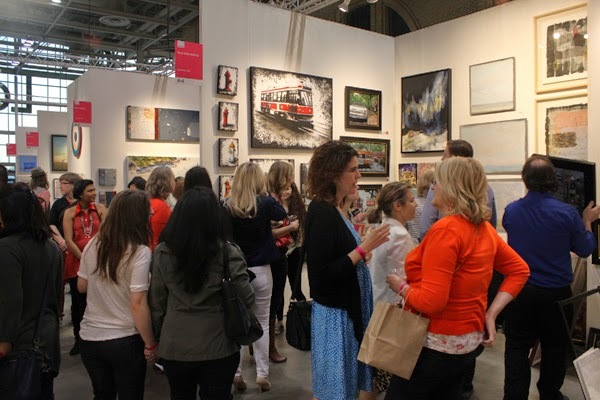 To honour our art community and all its hard-working artists and craftspeople, the event is juried. 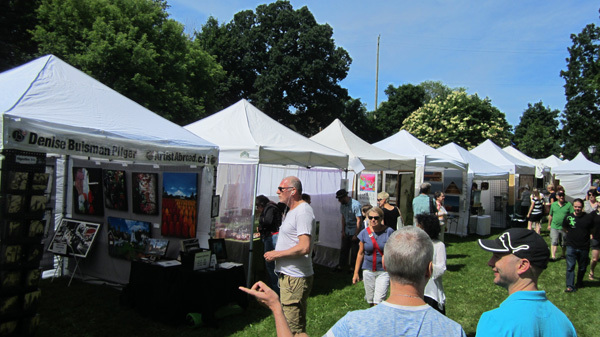 The Art in the Park Festival Community is a registered Ontario not-for-profit corporation, run for artists by artists. 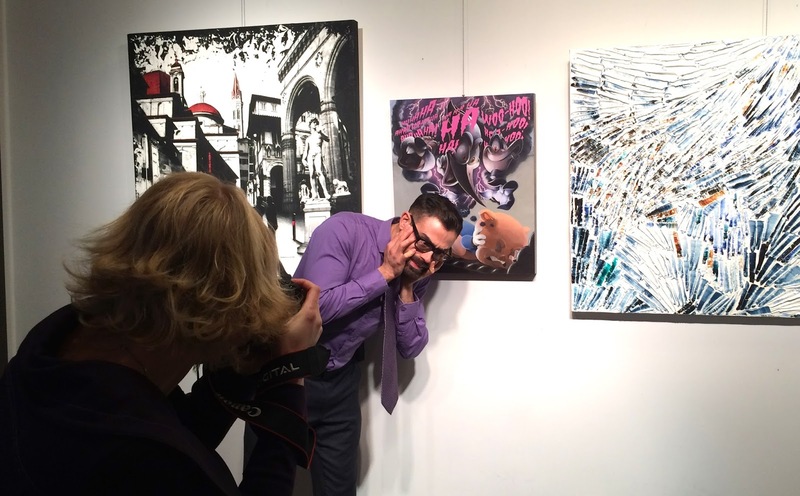 A move, a tv interview and a solo exhibition. So many things have happened these past couple of weeks! 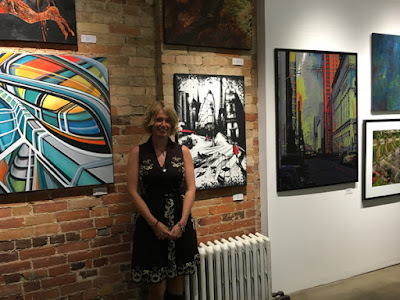 We were moving to a new home and therefore I was moving to a new studio space, I had to make a very quick trip to Holland for personal reasons and last but certainly not least, my solo show was opening at Viva Vida Art Gallery last week! Our move went very smoothly, we're almost completely settled in our new home and my studio space is ready for me to start working again! 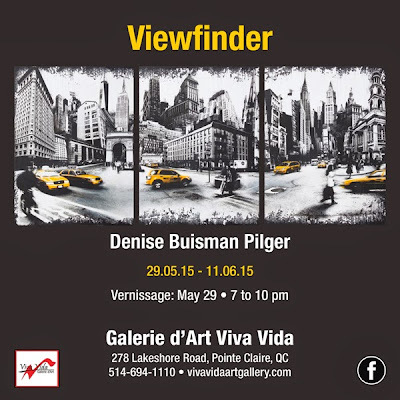 My solo exhibition 'Viewfinder' opened at the Viva Vida Art gallery on May 29th. We had a great turnout for the vernissage and a steady stream of people coming in to see the exhibition. Much of this has been because of the amazing coverage we've had from the local media! Not only did we get show announcements and articles in multiple online and printed publications we also got mentioned on two different radio stations and, thanks to CTV's Christine Long, we got mentioned on CTV Montréal twice! CTV Montréal came to the gallery on Wednesday May 27th, when we were hanging the show, to do a little interview. 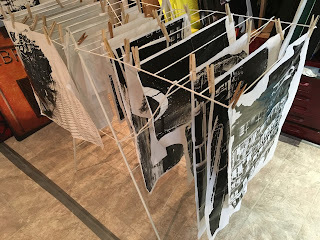 They talked to both gallery owner and exhibition curator Nedia El Khouri and myself about my current body of work and my previous exhibition, Discoveries: Montreal. I am extremely grateful to Christine Long and CTV Montréal for their amazing support! If you are curious about my solo exhibition 'Viewfinder', or any of the other artworks featured in the interview, you can visit the Viva Vida Art Gallery in Point Claire village (278-2 Lakeshore Road, Pointe-Claire, Quebec, H9S 4K9, Telephone: (514) 694-1110). The exhibition will be up until June 11. You can also find a little video and some photographs of the exhibition on my website.